Dune Bashing in Mui Ne – The Stunning Sand Dunes of Mui Ne! Vast expanses of red and white rolling sand dunes make Mui Ne, the most colourful stop on your travel itinerary during your time in Vietnam. Read on to find out everything you need to make a stop there! Located in the beautiful fishing village of Mui Ne down by the south coast of the country, the sets of giant dunes can be easily reached by many a resort in Mui Ne including the likes of Anantara Mui Ne Resort easily. Just request your hotel reception to arrange a tour and you can enjoy a frolicking good time fast! The ideal spot for the sporty and adventurous, there is plenty of fun activities to do here such as sand boarding or signing up for a hot air balloon ride over the dunes. Or you can simply hire yourself a quad bike to let loose. A dune buggy can also be hired for around 30 minutes for USD 20. The best time to visit these magnificent geological oddities is early morning or evening just in time for the sunrise or sunset. If you are all about avoiding the masses of tourists who flock to spots like these, you can consider visiting the dunes during midday. However, it will be quite hot so consider loading up on sunblock and carrying along plenty of water to stay hydrated. The city of Mui Ne with its warm and tempting climatic conditions has been known over the years for its large expanses of rolling red sand dunes. Every year planeloads of tourists bask in the soothing beauty of these dunes and delve into the many adventurous activities lined up for those who have a taste to play in the sand. Just as exciting as the Mui Ne sands is the water. Being one of the windiest locations in the whole of South East Asia; Mui Ne happens to be a popularly sought out spot for wind surfing. As the wind carries you pretty much anywhere your heart desires, wind surfing takes you to new heights in relaxation. It is an activity loaded with adrenaline yet has the soothing vibes of calm accentuated by the mighty waves that you will be cruising above. Wind Surfing has given rise to a whole new genre of madness; Kite Surfing. Kite Surfing is the beloved sister of wind surfing that come with attached kites. These kites adorn the ocean during the windy season in Mui Ne that falls between November and March. During this season, kite surfing is a wild trend in this part of the world. Thanks to the excellent winds, one can enjoy the full extent of this sport. Its popularity has given rise to several surf schools in and around Mui Ne, making it accessible to even the tempted beginner who would prefer trying it out. 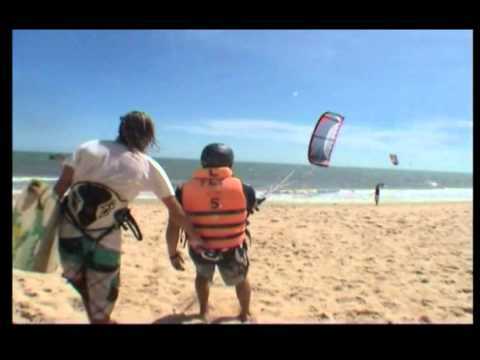 Most of the schools available in Mui Ne are certified by the International Kiting Organization, so if you are in Mui Ne and you want to try your shot soaring on the waves, rest assured you are in excellent hands. Some of the popular names in Kite Surfing Schools include Airwaves kite surfing school, Jibe’s and Wind chimes; all excellent schools that provide a range of different facilities and packages. In addition to all the water sports you can enjoy, the beaches in Mui Ne are simply exquisite. While holidaying in this part of the world, stay at the Anantara Mui Ne Resort & Spa. This exotic Vietnam hotel is the finest beach resort in Mui Ne. Vietnam is a country that is renowned for its picturesque natural beauty. From pristine beaches to mountains and lush green jungles, the country is widely considered to be one of the top tourist destinations in Asia. It is also a country that is absolutely rich in culture and heritage. However, if you are looking for something unusual and exciting to do while in Vietnam, the sand dunes are the ideal place for you. It is almost surprising to see something like the Sahara in Vietnam (in topography if not in scope), yet it really exists. And if you come to Vietnam, this is an attraction worth experiencing. The sand dunes in Vietnam are located in the city of Mui Ne on the southeastern coast. This gorgeous location is also perfect to watch the beautiful sunset. 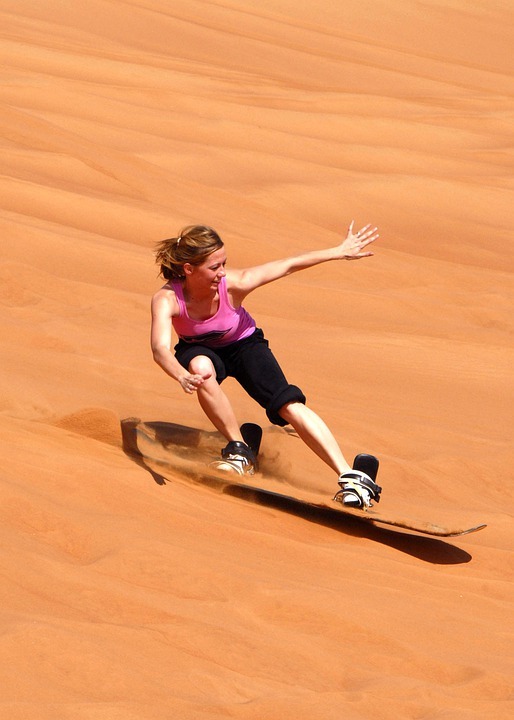 The red and white sand dunes are a popular sand boarding site as it offers you a trilling experience. Slide in the dunes and feel like a kid again. You will not regret this. In fact, this could even be your highlight of your Vietnam vacation. You could experience this amazing sport for a minimal amount like 1.5 dollars. It is as cheap as that. But make sure to protect your belongings while you take the ride for your own convenience. The great thing about this sport is that you don’t have to wait for a particular season like for snowboarding. Sand boarding is available all around the year. Are you on the lookout for accommodation in Vietnam? Well there is nothing to worry as sleeping options are endless here. From luxury hotels to affordable resorts and spas, you will be spoilt for choice. When you are searching for a perfect hotel, make sure to choose a hotel that will cater to all your travel requirements. One such remarkable hotel is the Anantara Mui Ne Resort And Spa which is considered an excellent option of a resort in Mui Ne. Consider making the most of your stay in the region here, as this Vietnam hotel guarantees to offer a breathtaking holiday experience to their guests. So what are you waiting for? Head over to this gorgeous country and make memories of a life time. For those doing Vietnam by road, Mui Ne with its 2 mile long wide sandy beach and relaxing informality is a popular stop over on the road between Hanoi and Ho Chi Minh City. The entire beach strip is a tourist area with budget and midrange tourist venues at one end and the more expensive tourist area at the other end. Although the town is just an overnight stop for many travelers, the area around offers interesting places to visit. Ta Kou Mountain has a 161 foot reclining Buddha statue at its top, Vietnam’s longest. This is also where many people come for some of the best views of the coast. The towering white sand dunes 22 miles north east of Mui Ne is not to be missed. They are apparently best visited in the late afternoon when the sun is going down. The coastal road, to get to the white sand dunes, is a lovely ride, past villages and farms and views of fishing boats out at sea. Most visitors also visit the red dunes on the way back to town. The dunes are bigger here and gives the feeling that it is somewhere in the Middle East. Fairy Spring, a small canyon with sedimentary rock formations and Thuy Tu Temple with old whale skeletons, some more than a hundred years old, are the other sites worth visiting. An early start will allow all the sites to be visited in one day on a motor bike and they can be reached easily although there is an absence of signage. A motor bike is the cheapest and probably the most interesting way to get around Mui Ne. Not only is the daily rate for an automatic or manual bike low but as traffic is light and the roads are straight, it is safe to ride a bike. Crowds can be avoided visiting sites this way and sometimes, depending on the time of day, sights can be totally free of other visitors. Traveling on a motorbike will also allow visitors to see and appreciate the natural beauty of a place and whether good or bad, get to know the locals. Although riders are required to have a valid Vietnamese license to ride in Vietnam many foreigners ride with or without it and with no proper knowledge of traffic laws. Helmets for rider and passenger are a must. The recommended way to rent bikes is through the accommodation to avoid being taken in by scammers. Take a break at Anantara Mui Ne resort & spa to enjoy a pristine seaside location and the southern coast of Vietnam. This prominent resort in Mui Ne not only offers guests a collection of spacious, beautifully appointed guestrooms, suites and villas but facilities and services that definitely go a long way to making a holiday here unforgettable. Stay at this Vietnam hotel to taste excellent Vietnamese and international culinary offerings, indulge in relaxing spa treatments, to try out water sports options or to simply enjoy the wonderful natural environment. 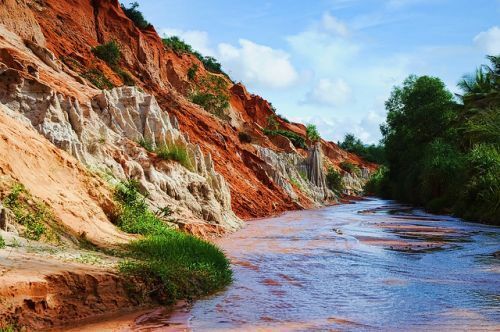 Aptly named as the Fairy Stream, visiting this whimsically flowing waterway making its way through the white and red sand dunes of Mui Ne is indeed a magical experience. One may need to seek accommodation in a comfortable resort in Mui Ne to fully capture the enchantment of this experience and Anantara Mui Ne Resort & Spa is perhaps the ideal choice of a Vietnam hotel that would make this trip all the more special. It is quite pleasant to walk down the stream ankle deep in the delightfully tepid water, the soles of your feet gladly embracing the softest of the sands in the bottom of the stream. Surrounded by a lush verdure with the sunlight streaming through the foliage, it’s quite easy to see why it is called the Fairy Stream. Suddenly and unexpectedly, the stream will open up to blue skies and the colour of the stream would change from reddish hues to orange, depending on the colour of the sandy banks lining the stream. As you go on, remember to take some snaps of the curiously patterned limestone banks that you encounter along the way which seem to have a mind of their own. Jayani Senanayake is a writer who dabbles in travel and all things exotic. Under the pseudonym of Calliope Sage, she writes of the allures that must simply be discovered. The Mountains of Vietnam are fit for the most soothing poetry. The aura of peace that it emulates makes it one of the most soothing attractions in the whole nation. Its popularity has been recognised and many resorts and bungalows have been built in such a way that a good mountainous view is guaranteed. There is one particular mountain that boasts a fascinating legend in addition to its unmatched beauty; it is the Elephant Mountain. Many years ago there lived a man by the name of Mr. Lang. He was the Chief of the Lach community and was known for his kind heart, his intelligence and his bravery. His popularity grew the day he conquered two wild elephants that came from the village of La Ngu Ha. These elephants were actually disturbed creatures but after coming back with Lang to the village they transformed themselves and through his inspiration became better animals. One day Lang rescued the young maiden Biang who was actually the daughter of the Chief of the Sre community. Instantly the 2 fell in love and the entire village rooted for their big day. Especially the 2 elephants became very close to Lang and Biang. However sadly that big day never came as the 2 lovers came from different communities who did not believe in binding each other. The heartbroken lovers headed to the highest point of a mountain in the village and grieved till one day their souls fled the earth. The elephants upon seeing their lifeless bodies sat next to them and never moved which eventually led to their death as well. Legends has it that they became this 1753m mountain; hence the name Elephant Mountain. The Elephant Mountain boasts some of the most breathtaking sceneries of Haiphong. During early mornings and late nights, coolness blankets the region. The location is famous for those seeking inspiration, just gazing at it can carry your burdens away. When you plan to visit the Elephant Mountain choose good hotels in Vietnam to come home to. The Harbour View Hotel Haiphong Vietnam is the finest of all Haiphong hotels as it is known for its luxurious ambience and unmatched views. Declared as the Undiscovered Golf Destination of the Year by the International Association of Golf Tour Operators, Vietnam is a wonder waiting to be discovered. A land with a fascinating history dating hundreds of years back, a climate that can only be marvelled at all year along and a breathtaking natural splendour, this amazing location is nothing but perfect for a holiday. The country now offers its visitors championship courses that successfully put most western golf grounds to shame. Popularly known as the ‘Next Thailand’ in relation to golfing, this amazing country is home to many beautiful golfing locations. The formation of the Ho Chi Minh Golf Trail in 2008 saw the Vietnam golf courses gaining global recognition. In total there are about 16 courses operating successfully within the country and around 30 under construction. Golf courses singled out as the best here include the Dalat Palace Golf Club, the Montgomerie and the Ocean Dunes Golf Club. The growth in the number of tourist arrivals in the country and the high rising golf tours have also been due to the reasonable cost of these holidays, the far stretching coast line admired by many westerners and the tropical climate guaranteeing a great experience all year around. Consequently the number of tourist arrivals has seen an immense increase from around 250000 to 4.5 million a year. If you are on the lookout for a beautiful Vietnam Hotel to spend your days at ease while holidaying in this beautiful country, consider a Resort in Mui Ne that believes in creating a truly authentic experience. Anantara Mui Ne Resort & Spa is a gorgeous hotel ideally located in the heart of Mui Ne that boasts of well-appointed rooms, world class service standards and a traditional Vietnamese touch in its hospitality. Head over to Vietnam where there is so much to experience and savour. From traditional Vietnamese culture to ancient historic monuments that resonate architectural splendour of the good old east, mouthwatering Vietnamese cuisine and amazing golf locations. Experience the east like never before when you choose Vietnam as your next holiday destination. Having grown into form a quiet spot of beach near a quaint fishing village to a thriving tourist Mecca in less than two decades Vietnam’s Mui Ne Bay is a tried and true success story in the country’s touristic landscape. Boasting stretches of white, powdery beaches and ideal weather conditions for a variety of water sports this one stop beach Mecca is suited for any type of traveler and budget as any genuine tourist hotpots must be. Mui Ne also enjoys the rare honor of being one of Asia’s premier windsurfing venues with ideal conditions for both beginner and seasoned surfers during the months from November to March every year. The period between October and April are equally conducive to the thrilling sporting activity although the number of windy days may be slightly lesser than those prevalent during the peak season. The morning hours are known for exhibiting light gusts of winds ranging from 10 to 15 knots and the thermal wind gradually climbing throughout the daytime to its peak strength two hours after midday. The afternoon however boasts gusts of wind over 20 knots and can even reach in excess of 25 knots where 7m kites are not only welcome but a must-have at this time of the day. Mui Ne Bay’s soft beaches are perfect for launching as well as a comfortable landing with cross-onshore wind direction also making the venue ideal for first time surfers. Professional kite surfers will also find water settings to suite wave riders with flat waters and brilliant downwinders throughout the day. Those looking for secluded patches along the bay can head down to Malibu Beach also known as the Wave Spot where advanced level surfers take to the seas in a less crowded region of the bay. Kitesurfing tours are also available for groups as small as six and as large as 14 surfers from local tour operators who take guests to the best kite surfing areas in Mui Ne on a tour that can last up to 2 days or more depending on the personal preference of participants. A number of kitesurfing schools have also propped up along the beach for the convenience of novices and guests can get a complete course in the adventure sport with the assistance of a Beach Boy for a daily fee. Travellers in search of a luxury resort in Mui Ne should look no further than the Anantara Mui Ne Resort & Spa. Providing guests with a breathtaking hideaway in one of the country’s most idyllic corners this Vietnam hotel pulls out all the stops when it comes to vacationing in paradise.